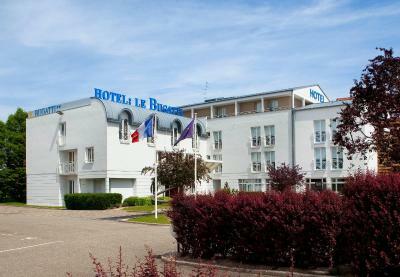 Lock in a great price for Hotel Le Bugatti – rated 8.5 by recent guests! 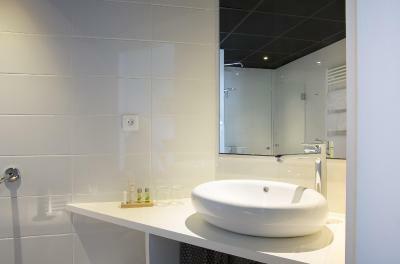 The staff was extremely friendly and did everything in order for the guests to have a pleasant stay. 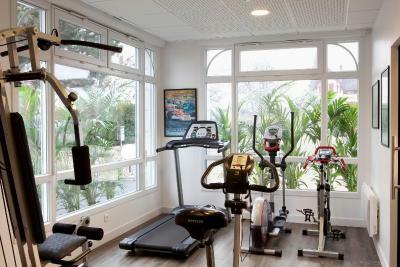 The location is very good, close to the motorway and 15-20m walking from the city center and 10m from the train station. One supermarket can be found at 100m, and one hypermarket at less than 1km. 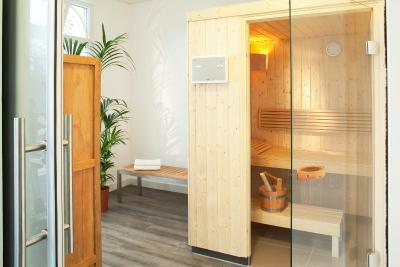 Staff were very pleasant and the location was perfect for my business trip to the area. Basically a good area--not too far from center city but not too far out either; however, through no fault of their own construction makes a trip in and out of the center city a bit complicated. On arrival in Molsheim, unless a good Samaritan had personally escorted us through a maze of one way and close streets we'd still be looking for it. Over the course of 3 days we deliberately made several illegal turns and such in order to get back to the hotel. Not sure any other hotel would have worked better. As usual, a clean, friendly & comfortable place to break our journey. Extra welcome this time for the dog- thank you! 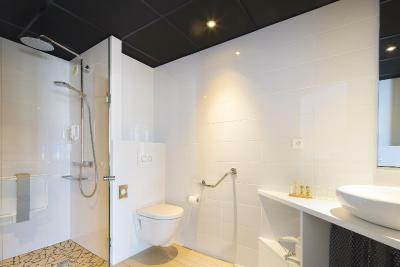 Very comfortable, clean and family friendly. Parking is big and safely closed at night. Breakfast has a nice variety as well - good for both the adults and kids. We do really recommend the place. Ideally you should have a car to go to the centre for touring or eating out. The heater in the bathroom. You can hear your neighbor and specially when the are busy. Bed was comfortable and the room clean. Staff was very friendly and helpful. The whole transition was smooth. The reception and reception area were very nice. The rooms where of modern design. Location was spot on. 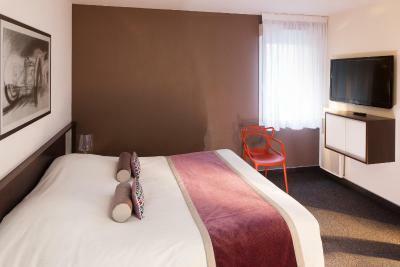 Stayed here for the Alsace Marathon. It was about a 10-15 minute walk to downtown which was very nice. The train station was 500-700 meters away. Just all-in-all very pleasant weekend. 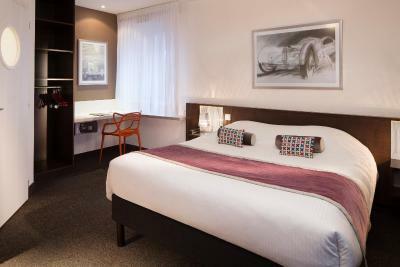 Very clean, good breakfast, friendly proactive staff,walking distance to old town centre and Information from front desk staff as to where to go for dinner. 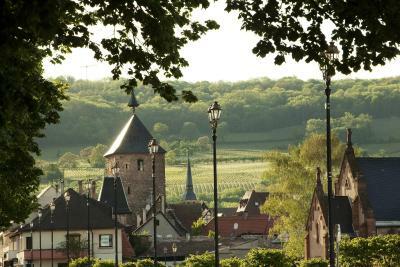 Le Bugatti is located in the heart of Molsheim, on the Alsace Wine Route. 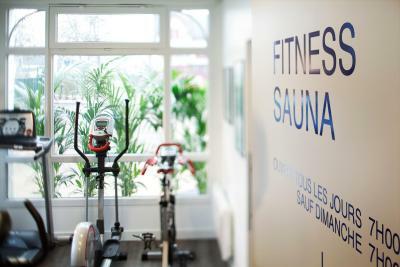 It offers a fitness room and an organic sauna. 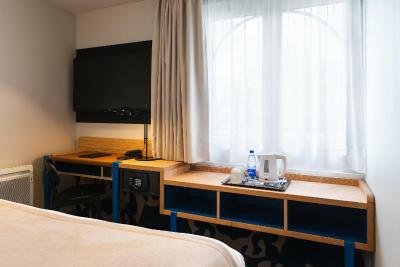 The rooms are soundproofed and have a work desk, a telephone and a hairdryer. 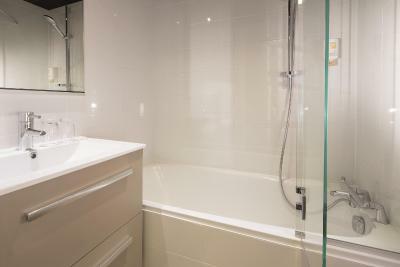 With modern design features, they also have a flat-screen satellite TV. A full buffet breakfast is served every morning in the dining room at garden level. 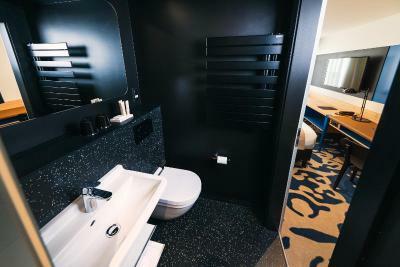 Additional facilities at Le Bugatti include custom-made service, iron and laundry services and daily newspapers. 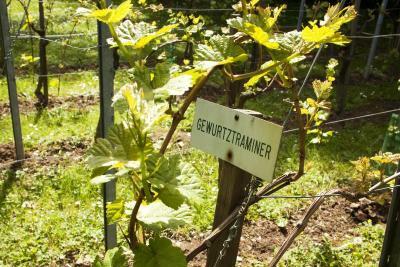 Guests can hike along the Wine Route and discover a large selection of wine cellars. 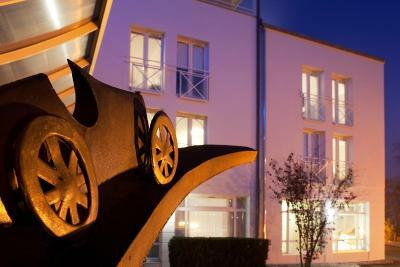 The hotel is 12 mi from Strasbourg Airport, and 16 mi from Strasbourg city center. It is easily accessible via the A35 and the A352 motorways. Free private parking is available on site. 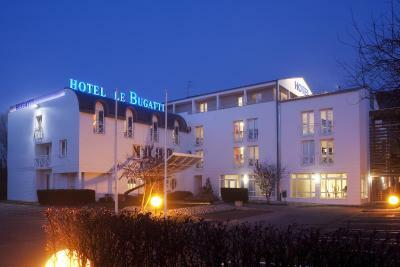 When would you like to stay at Hotel Le Bugatti? 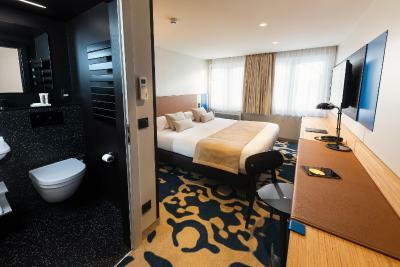 The rooms are contemporary in style. 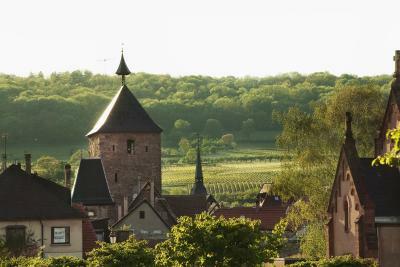 Le Bugatti has an ideal location to visit Strasbourg and Colmar and the many villages on the Alsace wine road. Our reception team reserves you a warm welcome every day. 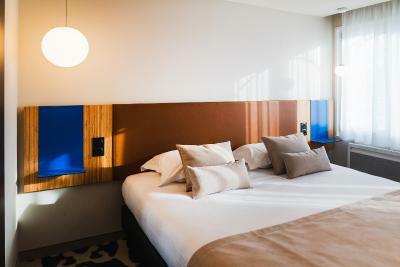 House Rules Hotel Le Bugatti takes special requests – add in the next step! Hotel Le Bugatti accepts these cards and reserves the right to temporarily hold an amount prior to arrival. Reception is open 24 hours a day from Monday to Friday. Access codes are required for arrivals after 23:00 on Saturdays and after 20:00 on Sundays. 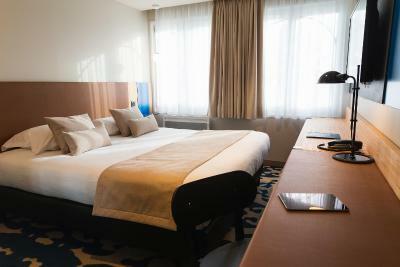 Guests are required to contact the hotel in advance in order to receive the access codes. 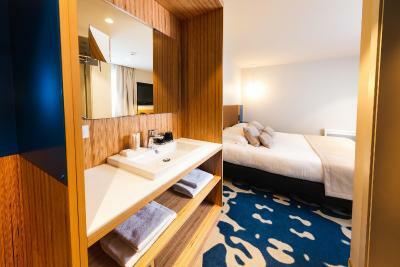 Everything is nice, except the bunk bed is a bit small and not suitable for adults. Bathroom very small, but functional. 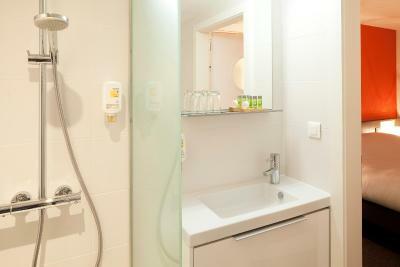 Rooms are compact but everything what you need is there and very clean. Arriving late no problem. Car is safe at night behind a gate Breakfast is great. All fresh! Good choice of coffees and all you would want from a budget hotel and then some! The bathroom was a little bit too small. Not very proactive in solving the absence of a babycot. Room clean, airco was a great welcome after a hot day. The town is very friendly and there is a great play-area in the town for kids. Ideal stop for a road-trip. Nowhere tomeat nearby but that’s not the hotel’s fault! Very helpful staff. 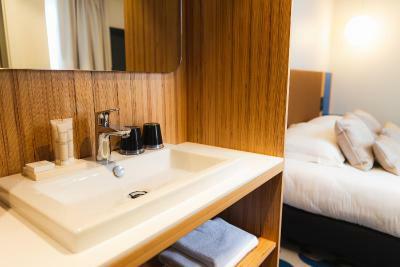 Clean and comfortable with excellent amenities. Well appointed. Great location. Easy to find. Fascinating local history and town centre.